I only had to walk into my backyard for these. Autumn is my lover. An autumn scene in monochrome can still render a dramatic shot, I think. A small stream meanders through a valley on a fine October day in Wyoming. Just weeks ago they were in full fall glory. Now just a memory, my image remains. 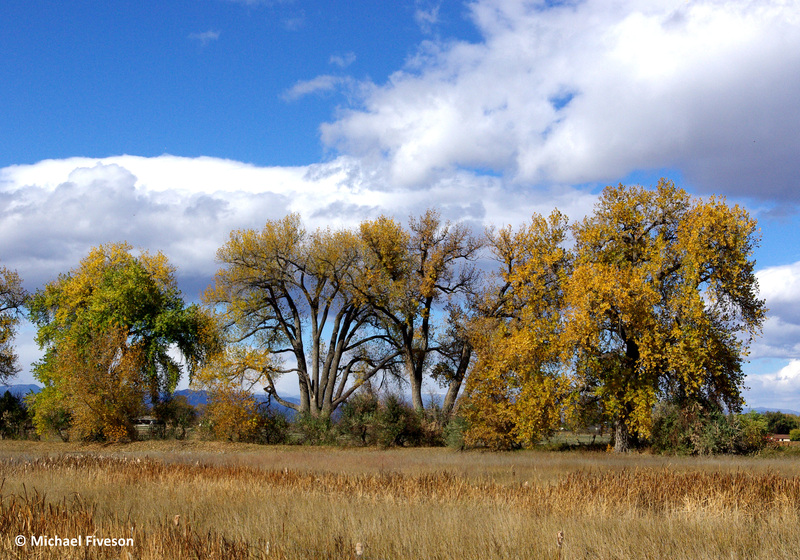 A row of Colorado cottonwood trees prepares for winter as their leaves are released. 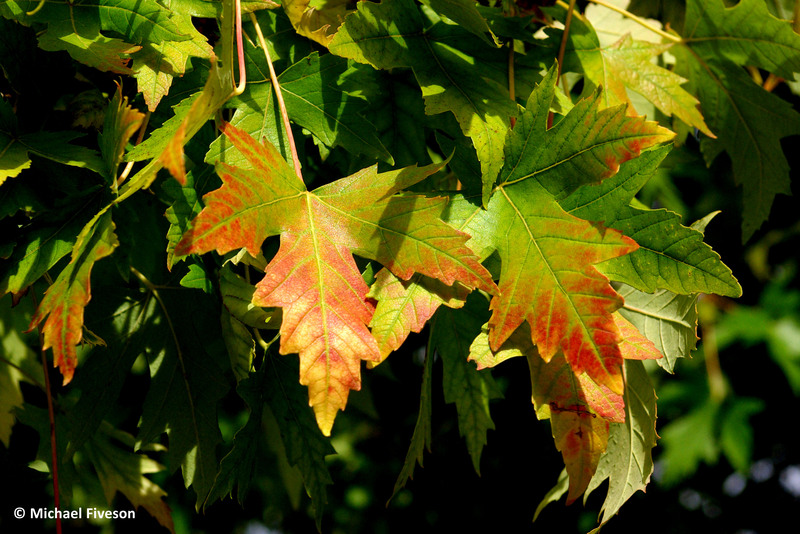 Earlier this month the leaves were just starting to be colorful. Most now have fallen. 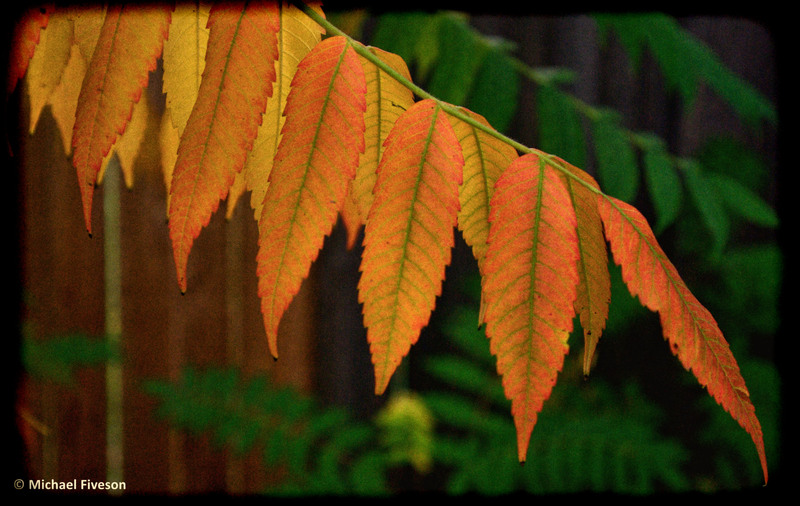 A spectacular farewell presented by a Colorado sumac tree, with a colorful fall exit.